Spring is nearly here—if you live in the Southern Hemisphere. 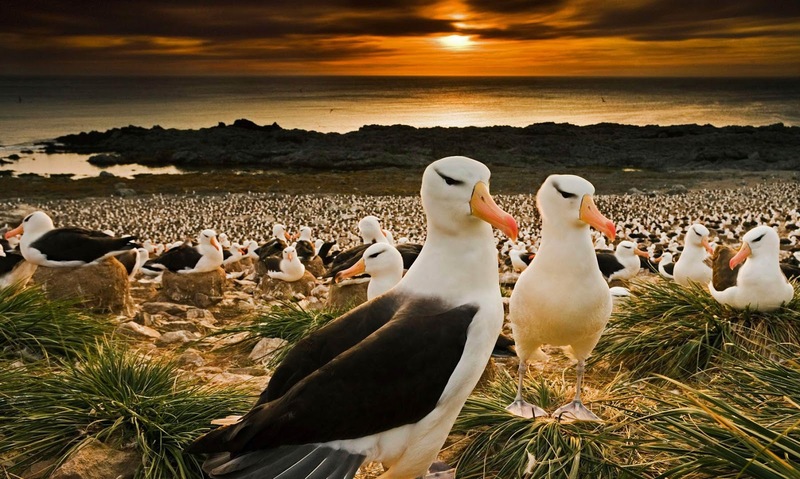 And these black-browed albatrosses, sometimes called mollymawks, have returned to their nesting grounds in the Falkland Islands where they will reunite with their mates. Each bird pair will lay a single egg in September or October and nurture the hatchling from December until April, when it’s time to take off and hunt the high seas again.